There are some truly legendary Dirt Bike events around the world. Here are some of the most extreme events which I will be adding to in upcoming posts. 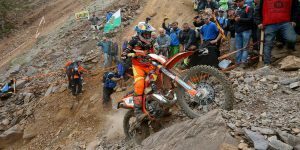 The Erzberg Rodeo is an Austrian event which is part of the Red Bull Hard Enduro Series. The event was started in 1995 by Karl Katoch. 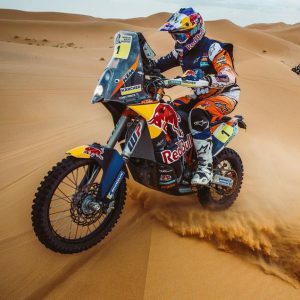 It is widely regarded as one of the toughest extreme enduros in the world. When only 2% of the competitors actually finish, it is easy to understand why. The 4 day event is held annually in May or June and attracts about 1,500 riders both amateur and professional from about 40 countries. Riders line up at the base of the Steirische Erzberg ‘The Iron Giant’ in the province of Styria, Austria. It is the largest Iron Ore open pit mine in central Europe. The snaking steps carved into the side of the mountain create a perfect setting for the most extreme and punishing dirt bike enduro in the world. Competitors from all backgrounds, Motocross, FMX, Enduro, and Trials compete in two prologue races held on a 13km gravel course. 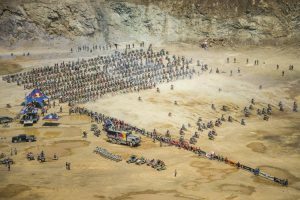 Only 500 qualify for the Red Bull Hare Scramble on the Sunday. There are 20 checkpoints throughout the 35km course, which must be completed in under 4 hours. Competitors face jagged boulders, dusty mining tracks, steep uphill sections so steep they have people helping to pull the bikes up with ropes. Of the 500 starters, less than 30 usually complete the course under the 4 hour time limit. The winners usually complete in 1.5 to 2 hours. 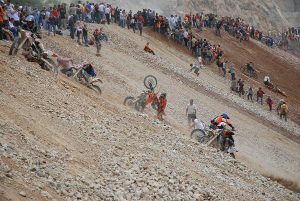 The Movie ‘Tougher Than Iron: The Enduro At Erzberg’ highlights the 2008 Erzberg Rodeo. * In 2015 all four riders coasted across the line together after helping each other pull their bikes up a steep hill climb just before the end of the race. 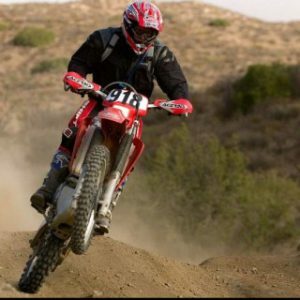 The Baja 1000 is a legendary endurance desert race that began in 1967. It takes place in Mexico’s Baja California Peninsula. It has attracted racing legends, Hollywood movie stars and rank amateurs. 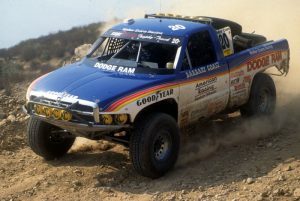 US racing legends Parnelli Jones, Robby Gordon and Mickey Thompson have competed. Parnelli Jones described the race as “like being in a 24-hour plane crash”. Dirt Bike legends Malcolm Smith and JN Roberts were early winners of the race. Steve McQueen teamed up with stunt legend Buddy Ekins in 1969 to compete in a Chevy-powered buggy. In 2004 Paul Newman became the oldest ever competitor at aged 80. James Garner has also added his star power to the race. The race is sometimes a loop that starts and finishes in Ensenada, and sometimes starts in Ensenada and finishes in La Paz. The event is open to Motorbikes, Quads, Beetles, Buggies, and Trucks. The bikes and quads start first. Then the trophy trucks followed by the 500bhp class 1 buggies. Then come the class 11 stock standard VW beetles, some say the essence of the Baja 1000. There are no signs telling you where to go, so getting lost is a common occurrence. Some of the course is on paved public roads, which are still open to the public. Sal Fish, the event organizer says “The roads aren’t closed, you get locals racing right next to you…this is not for wusses”. Competitors have to deal with cows, horses, buses, and locals straying into the path, and some setting booby traps to catch out the unaware! Serious competitors do a lot of pre-running prior to the race. This allows them to get familiar with their allotted section of the course. Most compete in teams of up to five riders. The much-anticipated sequel ‘Dust 2 Glory’ focuses on the 2016 SCORE Baja 1000 and has just been released ahead of the 50th anniversary Baja 1000 in 2017. Because of security threats in Mauritania which caused the cancellation of the 2008 event, it is now held in South America. 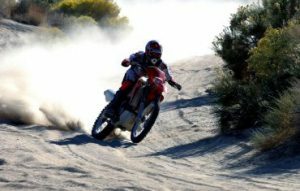 It is an off-road endurance event which covers terrain consisting of sand dunes, Camel grass, Erg (broad windswept desert areas), rocks and mud. Competitors are both professional and amateur. Typically amateurs make up about 80% of the entrants. Distance covered in stages vary and can be as much as 800-900 km (500-560 miles) in one day. There are four major classes: Motorbikes, Quads, Cars (from Buggies to small SUVs) and Trucks. Since 2011 the engine capacity of the motorbikes has been limited to 450cc, which can be either single cylinder or twin. 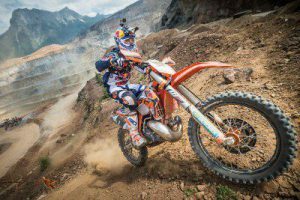 KTM has dominated the motorbike section in recent years, having won every year since 2001. The race originated in 1978 with the course starting in Paris and finishing in the Senegalese capital of Dakar. 182 vehicles started the 10,000 km (6,200 miles) course with 74 surviving the race. Cyril Neveu of France won the 1979 and 1980 event on a Yamaha XT500 and went on to win the motorcycle section again in 1982, 1986, 1987 on a Honda. Gaston Rahier of Belgium had back to back wins in 1984 & 1985 on a BMW. 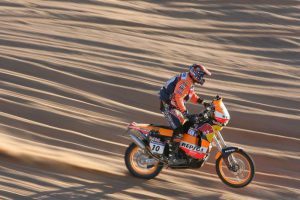 Australian KTM rider Andy Caldecott was killed in the 2006 event after crashing in stage 9. It was his third time in the event. He won the Australian Safari Rally four times consecutively from 2000 to 2003. 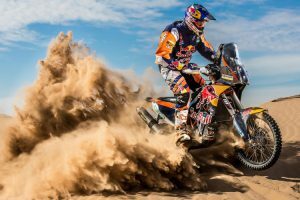 In 2016 Australian KTM rider Toby Price won the motorbike section. He is the first person ever to win on their second attempt. Read my Bio on Toby Price here. Do you know of an event that should be included here? Have you been to any of these events? Please feel free to leave a message below with your thoughts. Every time I watch these kind of sports it make me surprise. Most of the time because it Red Bull always set the bar higher. I find it very fascinating about how a human can complete these challenge. It can be very helpful for new dirt bike enthusiast. Which most will join. The level of difficult is insane. Only the toughest one will win. Luckily more and more people are getting to know these place and sponsors. Thanks for your comments. Yes it is amazing what a human can achieve if they set their mind to it. You’re right, most of the time Red Bull are the sponsors of these types of extreme events.